Justin Trudeau is a feminist. And for the most part, people believe him, nod along and then move on. This week Trudeau again was at a conference claiming he was a real feminist, a champion of women and others, especially those mean Conservatives, were not. But the simple reality is, he doesn’t live up to the hype. It’s not just me saying so, The Guardian, Macleans and The Hill Times have all written pieces critical of Trudeau using his feminist claims as a way to get votes but not deliver. The NGO Oxfam put out a scorecard that said the Trudeau government’s rhetoric had not yet been matched by deeds. So this week Trudeau was in Toronto, mansplaining to Tina Brown – the former editor of The New Yorker and Vanity Fair – that he is a real feminist and conservatives in Canada just don’t get it because they point out the fact that his words and actions don’t always match up. “The pushback we’re getting is actually not from south of the border, the pushback we’re getting is from Canadian Conservatives, who said ‘Oh no this is about economics, it’s about jobs … it’s not about rhetorical flourishes of being good on environment or being good on gender,'” Trudeau said. Speaking of fundamental economic issues, has Trudeau explained why he is paying his female consul general in New York less than his male consul general in the less prestigious San Francisco office? As far as I can tell he hasn’t been asked, but as The Globe and Mail reported back in late August, Phyliss Yaffe is being paid significantly less than her younger and much less experienced counterpart, who just happens to be a friend of Justin Trudeau and his top aide Gerry Butts. Ms. Yaffe – who, like Mr. Sarkar, is a consul-general, but at a New York post that is generally viewed as having greater stature – is paid a salary between $153,600 and $180,600 – roughly 70 per cent of Mr. Sarkar’s pay range. I ran the numbers, by my count, Sarkar’s salary of between $221,300 and $260,300, compared to Yaffe’s salary range means she is getting 69 cents on the dollar. Maybe I can’t expect average Canadians to worry about a woman earning a huge salary being paid less than a man, but this is a man doing the same job, in a less prestigious location and earning much more. Butts defended paying his friend near double the posted salary for the job by pointing out that Sarkar had left a good job in the private sector where he had been some kind of consultant for KPMG. Yaffe meanwhile had been the Chair of the Board for Cineplex, CEO of Alliance Atlantis and on the board of other companies. She is imminently more qualified but paid less by the self-described feminists named Trudeau and Butts. Even as Trudeau smiled and told us that it was time for a gender balanced cabinet because it was 2015 he was hiding a fact that he wished had no one had ever noticed. He was paying women in his cabinet less. Well, at least a third of them. Turns out Trudeau’s cabinet included 5 junior ministers or “ministers of state” a position that would mean lower pay, lower staffing levels and a lower budget. All five junior ministers were women. Trudeau and his team moved quickly to “fix” the problem and promote the junior ministers to the adult table and adjust their pay but only after being caught. 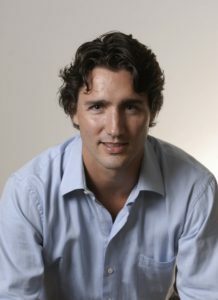 There have been other blatant examples of Trudeau not living up to his feminist rhetoric from “the sisters upstairs” to his decision to put women at the bottom of the list for who would replace him if he couldn’t do his duties – women only held two of the top ten positions on the original list but seven of the bottom ten positions. As with other issues, like dismal job numbers, Trudeau generally gets a pass on issues but on this one, an issue he has staked his reputation on, the PM needs to be held to account. He doesn’t live up to his claims, he doesn’t live up to his rhetoric and it is time for women and men to call BS on his act. Par 4 the course for the liberal party of Canada. Nice work Brian keep up the fight they may wake up someday. Brian keep hammering at the truth most of the mainstream media avoid it. Thanks Brian, Nice to have you back in the public discourse.